Telstra commercially launched its newly branded "4G" Long Term Evolution (LTE) network and USB 4G modem today. The latter is the first device to work on the LTE enablement of the Next G network, which runs on the LTE 1800MHz network band. Curiously, Telstra also revealed it will sell a "4G" HTC Android phone in the first half of next year: we can tell you now that this is the HTC Raider 4G. For the full details on Telstra's commercial launch of 4G, read our Telstra unveils its first 4G LTE device story. During yesterday's private media briefing, Telstra called the phone the HTC 4G, saying the official name of the device was not yet finalised. Telstra's executive director of mobile products, Warwick Bray, pulled the phone out of his pocket and gave us a very quick hands-on. Techworld Australia: Australian iPad and 4G: What's the deal? Based on our quick look at the phone, we did a bit of digging and found that the smartphone we saw yesterday was the HTC Raider 4G: it's obviously an LTE-capable Android phone and it has just launched in South Korea. Whether or not Telstra and HTC will call the phone the Raider 4G in Australia is unknown. What's more important are all the juicy specifications. 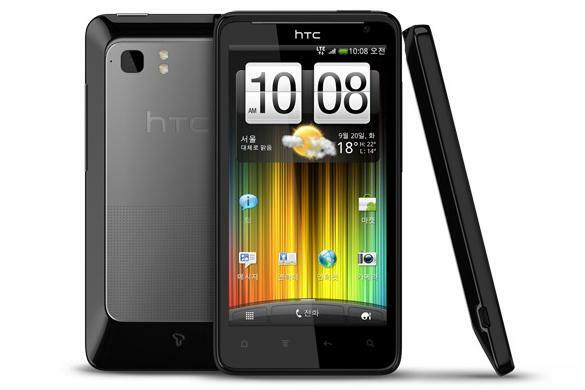 The HTC Raider 4G has a large 4.5in qHD touchscreen, a 1.5GHz dual core processor, 1GB of RAM, 16GB of internal memory and an 8-megapixel camera with dual-LED flash. It has an attractive gloss black finish on the front, a silver battery cover on the rear, and the back tapers inwards towards the edge of the phone making it comfortable to hold. There are no official specs for the Raider 4G's dimensions or weight, but we can confirm the phone feels pretty light given its footprint. It's also fairly thin: it won't rival the ultra-slim Samsung Galaxy S II, but its definitely thinner and lighter than chunky behemoths like the HTC EVO 3D. Curiously, the Raider 4G may also be launching in the US very shortly. Engadget reported in August that it will be called the HTC Holiday and would be sold by AT&T. It looks identical to the Raider, but the screenshots posted by Engadget show a 1.2GHz processor rather than the 1.5GHz on the South Korean variant. In addition to the HTC Raider 4G, Telstra has also promised LTE tablets in first half of 2012, but provided no further details aside from saying most device manufacturers "have committed" to LTE.